There’s no magic formula to finding the best property in France for your retirement. 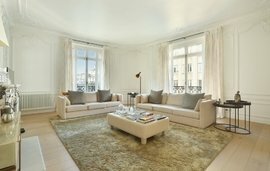 As with any other French property purchase, it depends on your personal taste. There are however several factors that will help you make a decision about the type of property and location to suit you best. Reliable travel links are essential when you retire to a new country. Friends from back home are more inclined to visit when the journey is easier. Being close to a ferry port or airport with direct flights to where your family live will also make you feel more connected. Meanwhile, the TGV is continually working to cut journey times throughout France. From Paris to the city of Bordeaux, for example, it now takes just two hours. The TGV also connects France with international destinations including Belgium, Italy and Spain. Local transport is an equally important consideration. If you retire in your early sixties, a rural idyll might seem like paradise now. However, if you’re entirely reliant on driving to the shops and the medical centre, it could be less ideal as time passes. If you’re seeking property for sale in Provence you’ll find a number of well-connected villages such as Saint-Rémy-de-Provence, with excellent shops, bars and boutiques all found in walking distance from those pretty Provençal houses. Further west, property for sale in Aquitaine tends to offer the best of both worlds. The small, historic city of Cahors offers all the markets, bakeries and restaurants you could need, together with a train station and bus route servicing larger destinations like Toulouse, and the smaller bastide of Cazals. Wherever in France you retire, our Winkworth France property experts highly recommend a thorough search of the amenities in your chosen location. For the same reason, access to a local community with thriving groups and expat societies might not be your idea of a good time when you first move to France. However, this could be increasingly welcome in later years. You’ll find an inter-generational community of expats when you buy property in the Côte d'Azur. Antibes, Vence and the beautiful hillside village of Biot are all popular areas to live. International buyers move here to work at the tech-hub at Sophia Antipolis, spend time at their second property on the French Riviera, or enjoy an unrivalled quality of life in their retirement years. There’s a Chinese society in nearby Nice, a Scandinavian club in Cannes, numerous English-speaking groups everywhere and a host of arts related activities in Biot, famous for its pottery and blown glass. Learning to speak French is, of course, the best way to avoid isolation in your retirement. French speaking classes are big business across France. Infact, if a Paris apartment has always been your dream retirement property, you can even attend one-to-one classes with a tutor in your favourite Parisian café. Read more here. Where do I find affordable retirement property in France? At Winkworth International, we maintain you can always find affordable property for sale in France - when you know where to look. Undoubtedly your money will go further per square foot in Bordeaux, for example, than the Côte d'Azur, but if you’re looking to invest in a great value property, compact and easily-maintained with elevator and secure parking, we know just where to find one in the heart of Saint Tropez. With that said, finding the right property for your budget can feel daunting, which is why appointing an experienced real-estate agent with extensive local knowledge is invaluable. Winkworth International have the answers to all your France retirement property questions, so get in touch with our Winkworth France office today.